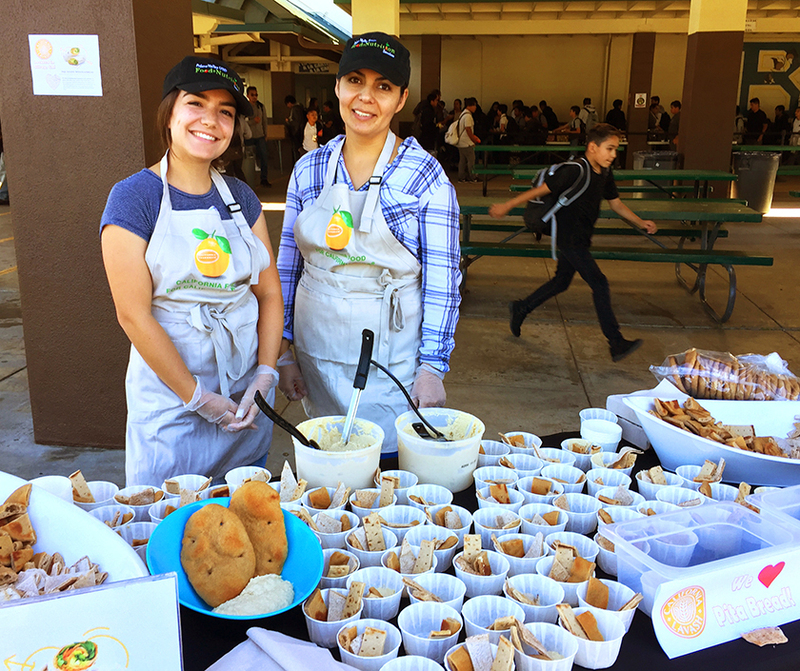 On October 25, districts across California celebrated Collective Action Day by serving students freshly-prepared school meals featuring California-grown food. Collective Action Day welcomed nineteen new school districts into the California Thursdays® Network, which now totals 89 school districts in 33 counties that collectively serve over 334 million meals annually. The theme of this year’s event was “A Win for California,” celebrating the network’s shared commitment to serving meals that improve students’ health and readiness to learn while supporting local economies. We want to share some of the inspiring meals and engaging events we saw across the state. 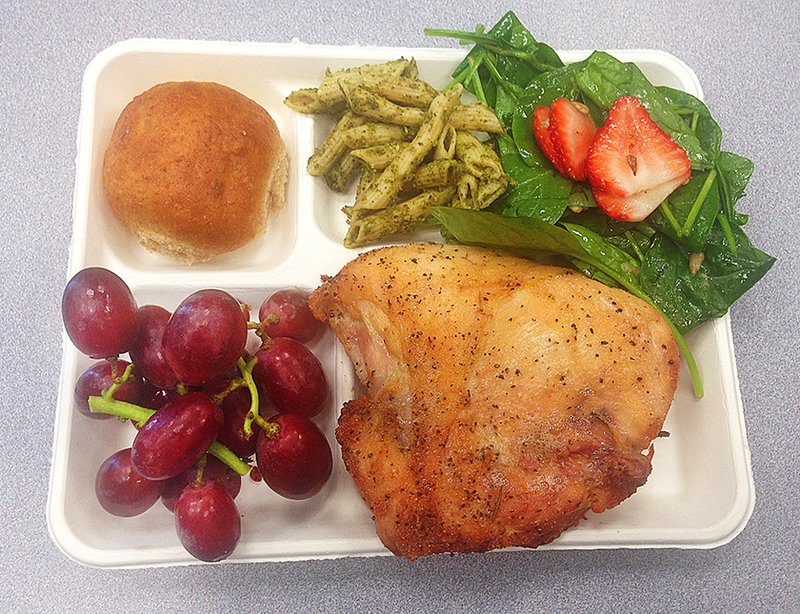 Calistoga Joint Unified School District treated students to rolls baked in-house using California-grown Yecora Rojo wheat, brined Mary’s chicken from Sanger, grapes from Edison, spinach and strawberries from Watsonville, and commodity pasta with pesto from Southern California. The school’s culinary arts program used the same wheat and California butter for a chocolate chip cookie recipe made that day in class. Merced Union High School District treated students to a grilled bean and cheese burrito featuring a tomatillo salsa produced entirely from vegetables grown in their school garden. 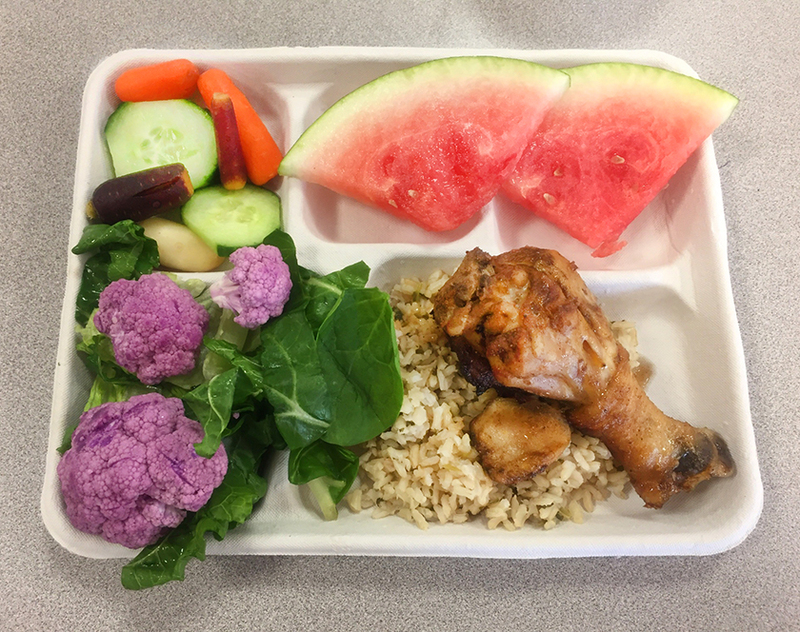 Hayward Unified School District served an antibiotic free chicken drumstick, known as “loco pollo,” and a specialty of their chef, Peter Oshinski. The chicken was marinated overnight with lime, coriander, and cumin. Students were able to vote on the new dish, which will likely appear on future menus along with a cilantro-lime brown rice. Riverside Unified School District served students fresh navel oranges delivered on foot from a neighboring farm. Santa Ana Unified School District launched their program with five California Thursdays entrees, including a Penne Pasta with Meatballs and all California-grown produce. Districts also celebrated with activities to engage students, staff, and the community around the importance of eating freshly prepared foods and supporting local economies. Ravenswood City School District offered taste tests of zucchini with pasta, while providing a hands-on demonstration station for students to spin zucchini spirals. 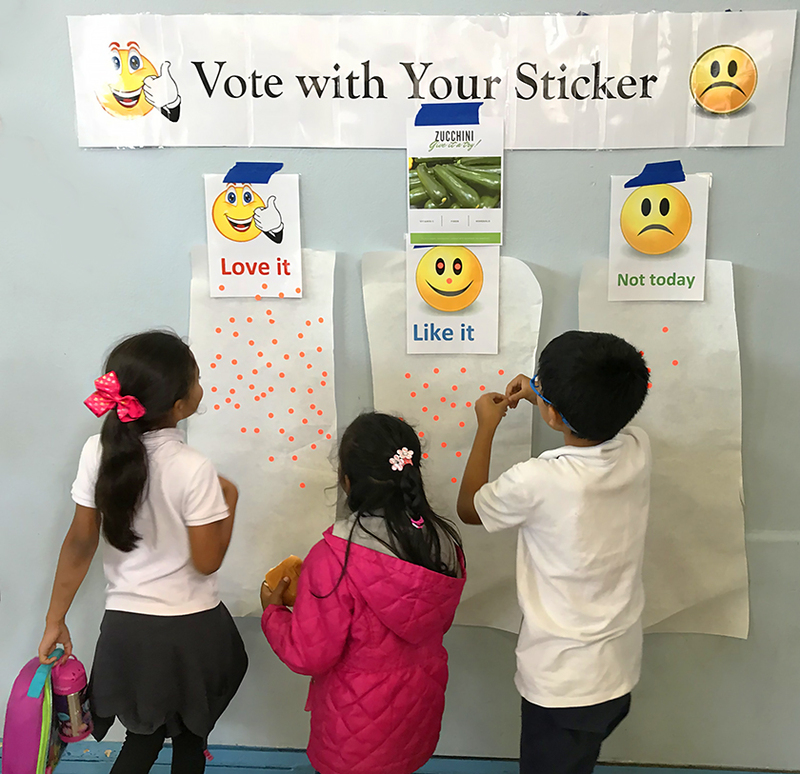 The majority of students voted by placing their stickers under “Love it” and “Like it” with only a handful of “Not today”. Pajaro Valley Unified School District also engaged students with a taste test of three breads from California Lavash, a bakery located in Gilroy. Students voted on their favorite, which the district plans to source and serve in their hummus trays to increase their local ingredients. Robla School District held their Collective Action Day event after school to allow parents and members of the community to attend. Stations were set up for kids to make their own fruit and vegetable water, a healthy alternative to juice or soda. Riverside Unified School District hosted Mark Takano, United States Representative from Congressional District 41. 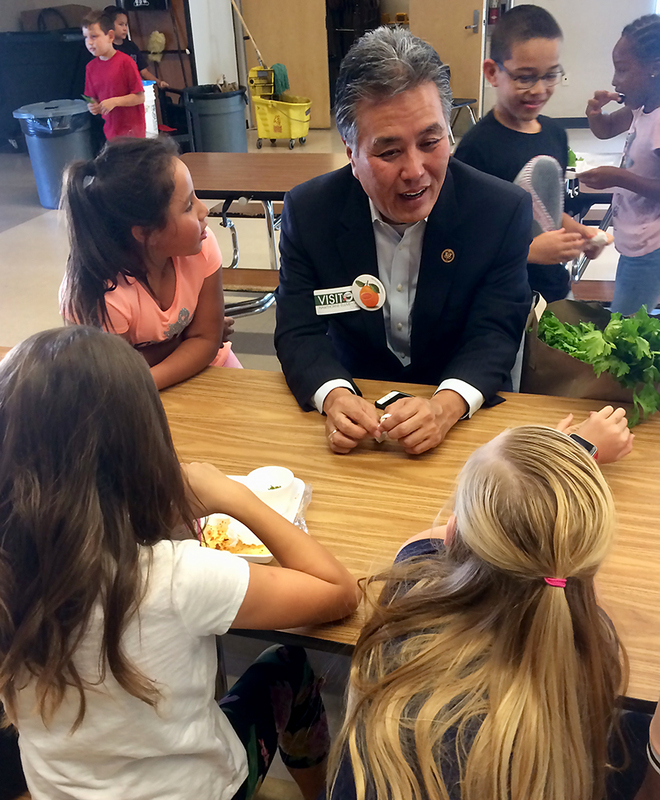 Takano spent time visiting with students and discussing the importance of school meals in his community. These are only a few of the stories from this year’s Collective Action Day that capture the network’s enthusiasm for supporting students and local economies through freshly-prepared meals featuring California-grown foods. We always want to hear from you — please reach out and share your story by sending an email to Leyla Marandi.